BRL's team of scientists are ready to assist in problems ranging from routine quality control monitoring of your facility to design and implementation of SOP's and protocols. BRL's scientists can assist with fermentation services to manufacture your next bioproduct. 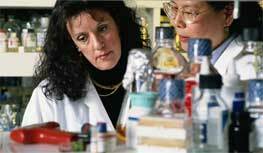 BRL specializes in biological research. The range of testing we offer includes CAM assay testing, Rauscher virus suppression in mice, and tumor models in small animals. You will receive cost effective testing and work done within a predetermined budget for each project¹. All experimental protocols are reviewed and approved by an Animal Care Committee prior to study initiation. ¹ Upon consultation, BRL's scientists will provide you with a specific protocol for testing your product.